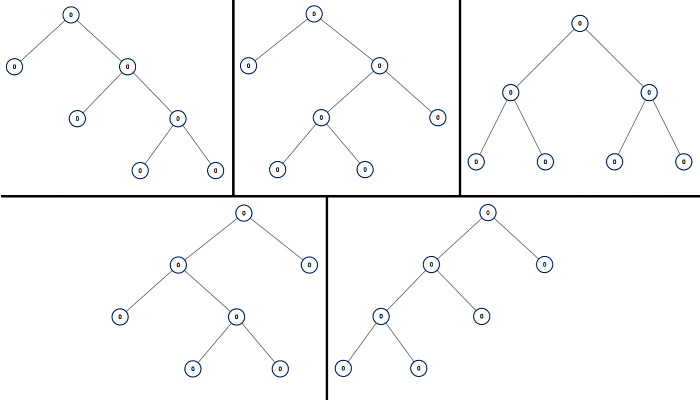 A full binary tree is a binary tree where each node has exactly 0 or 2 children. Return a list of all possible full binary trees with N nodes. Each element of the answer is the root node of one possible tree. Each node of each tree in the answer must have node.val = 0. You may return the final list of trees in any order.